Regular fit is wider at the body, with a straight silhouette. Ribbed crewneck; "For the Oceans" on back neck tape. Lightweight fabric with a silky feel. 100% recycled polyester interlock. Sweat-wicking Climalite fabric; FC Bayern embroidered crest. 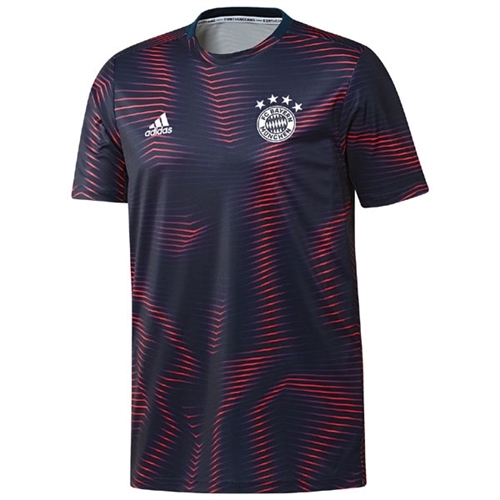 Our adidas Bayern Munich Pre Match Jersey 2018 is made from Parley Ocean Plastic™ which is made from recycled waste, intercepted from beaches and coastal communities before it reaches the ocean.